Via Rosemorran Farm, Boscobba, Trevaylor woods and Gear. 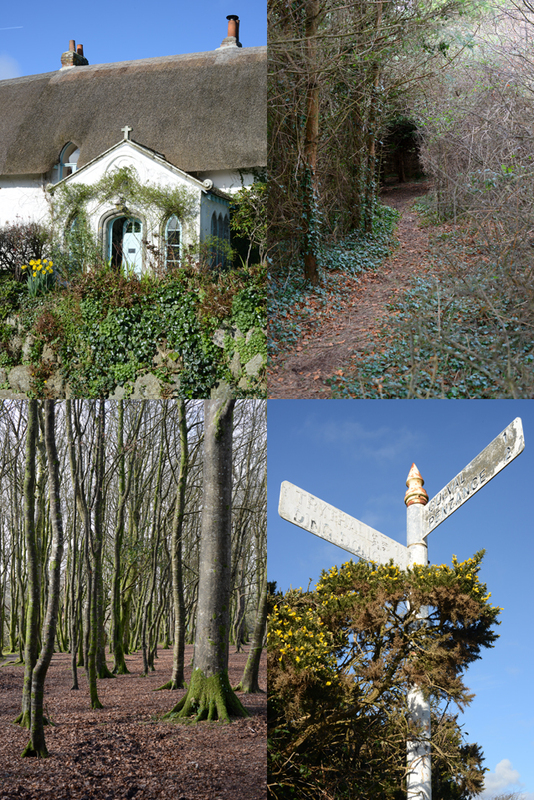 Enjoy wonderful views to Mount's Bay and the magical Trevaylor woods. 45 minutes there / 45 minutes back (non-stop at a steady pace). Medium difficulty (muddy when wet – Wellington or walking boots essential). 1. From Gulval church take School Lane, which runs past The Coldstreamer Inn. 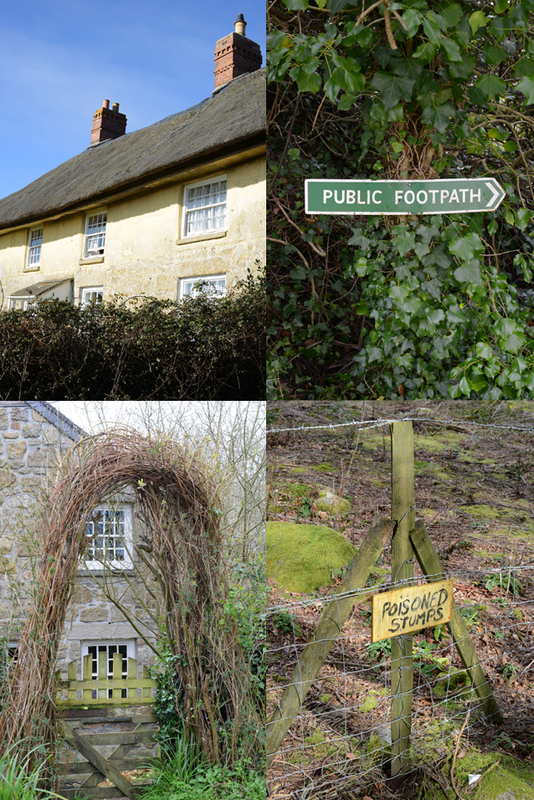 After about 5o yards, look out for the footpath sign on the right, next to Trevean Farmhouse. 2. The tree-lined footpath will lead to open fields where the track should be clear to see. When entering the fourth field, aim for the top left-hand corner. 3. Here, a narrow flight of stone steps leads down to the road. Cross the road to the thatched cottage. This is a sharp corner, so please take proper care when crossing. 4. Walk into the farm and pass the house on the left. The footpath sign points left through the garden, but there's a slightly less intrusive way a little further on. 5. Head down the field and walk right along the bottom edge. You'll reach an orchard, where you head down towards the river. 6. Cross the bridge and the lane, take the path up the hill and follow it as it turns left at the top. Follow this path until you reach the road. 7. 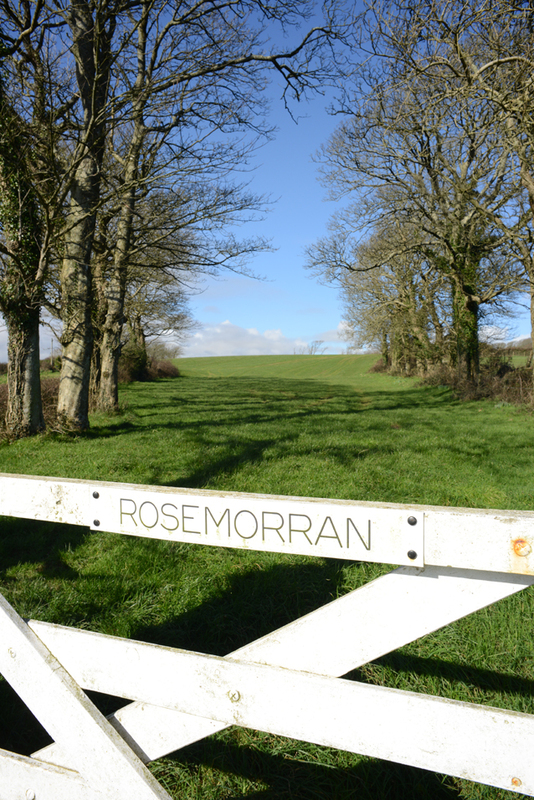 Here you'll see the white gate marked Rosemorran Farm with its impressive gate post pillars. Go through the metal gate to the side and walk up through the field. Take a moment to look back and enjoy the impressive views over Mount's Bay. 8. Head for the building and you will find the stile that brings you into the road. Take a peek at the fairytale-like Rosemorran Farm building on your right. After a few yards, the footpath picks up again on the left. 9. Head across the open field, then over the stile and continue along the path by the woods on the right. This brings you up to the group of properties named Polkington. Wend your way through these lanes until you reach Boscobba. Take the footpath that heads off to the left, next to the converted barns. 10. This footpath takes you down into the valley and Trevaylor woods. The hillside is strangely bare, due to the clearance of diseased rhododendron bushes. Signs and fences keep walkers clear of areas where the stumps have been poisoned. 11. Now you're plunged into the woods. The flat woodland floor and densely packed trees make an attractive scene as you look ahead. In places, the deep river channel creates dramatic topography, where rope swings dangle from overhanging trees. The path evaporates here, but following the river will keep you on track. 12. Eventually you're led out of the woods, over a stile and through two open fields. Once across the second field and over the stile, bear left down the path towards the river again. Cross the footbridge and follow the river. The path disappears once more, and the going is likely to be boggy, but persevere and you'll soon be heading up into a clearing and out of the woods. The path leads you to the road, Gear Hill to be precise. 13. The next stretch of the walk is by road, but the traffic here is minimal. Make your way up the hill and bear left at the top. From here the route is a straight, downward tramp past Gear Farm and on to Trevaylor hamlet. 14. 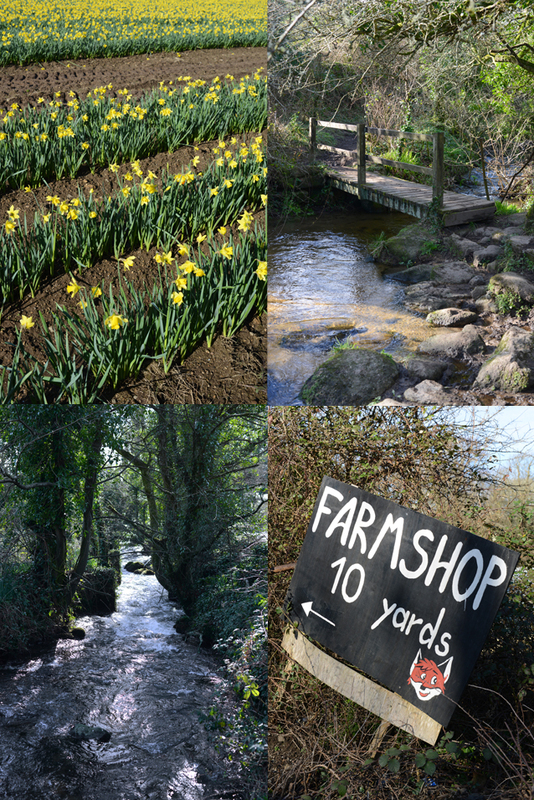 At Trevaylor, pop into the farm shop at Fox Farm for fresh seasonal fruit, vegetables and locally made preserves. Push your coins through the slot in the inner door. 15. After a few hundred yards you'll spy the footpath leading through the hedge on the left. Skirt around the perimeter of the field and find the stile in the right-hand hedge. Cross a further two fields, always bearing downhill, until you re-enter Trevaylor Woods, and make your way down to the river. As you're entering the woods from the other side, you'll need to cross the river by the stone footbridge. Presently, there is a fallen tree barring the way, so make your way around to the left and back, until you find the stile that will take you out of the woods. 16. Continue upwards across four fields until you reach the road and the entrance to Rosemorran Farm that you first encountered at point (7). 17. Now retrace your steps back to Gulval and make sure you treat yourself to well-earned pint at The Coldstreamer.